This is a very elegant tea. 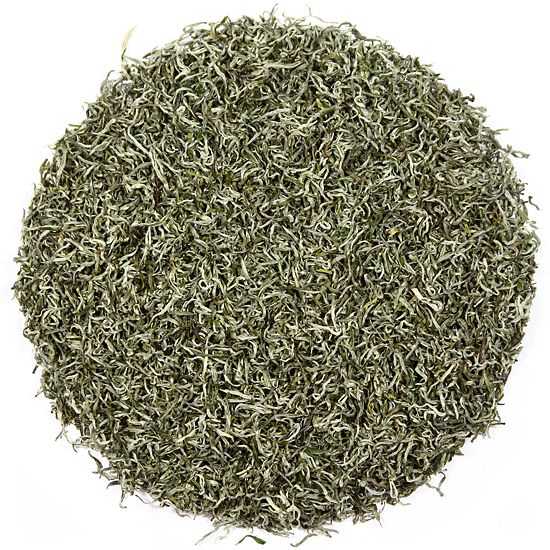 The overall taste sensation of this tea is mineral-stone, crisp & clean with an underlying layer of sweetness. Mengding Mountain Huang Ya has a cool and bracing quality that affirms its high plateau origins – its magnificent terroir – and expresses the chilly early spring weather during which time the tea bushes on Mengding Mountain first flush with tender new buds. Our batch of 2018 new harvest Mengding Mountain Huang Ya was gathered in mid-April 2018, considerably later than some other years but well within the ‘normal’ time for this early tea. The weather in Sichuan has not been quite as finicky as it has been in many other places this spring; however, the early leaf just did not have the concentration of flavor that we were hoping for, so we gambled on waiting a bit to try to find that ‘sweet spot’ of the harvest. This would be the point at which this bud-only pluck would still be young, tender, small and fresh, but would also exhibit some adolescent vigor and youthful complexity. Voila, the gods smiled on this high plateau and the budset cooperated to produce a wonderful late harvest of delicious bud-only Huang Ya for us. This year’s Mengding Mountain Huang Ya has a flavor that is well-concentrated, exceptionally fragrant (when steeped, but not the dry buds), stunningly delicious and full of life. The shape of this tea is precise and lean because there was just enough moisture to plump up the cell structure. The color of both the dry and re-hydrated leaf is outstanding – a green that is quite unusual and that could only be produced in a natural, plant-based material. This is one of the most beautiful of Chinese teas. Because this tea is so special, we sell out of it every year. We recommend not waiting too long to place your order.